Eligible entities may use the contract to purchase per the Master Agreement and Participating Addendum as summarized below. Ordering off of this contract is easy! Order online, by phone, by email or fax. Credit Card: From your shopping cart, click ‘Proceed to Checkout’. From there you can pay for purchased products with a government purchasing card / credit card. If you select this option, please also notify us if a PO number is used in the PO field. Download Quote: From your shopping cart, click on the ‘Download Quote’ button in the cart to download a PDF Quote. Phone: Just call us at 800.642.3087 x 213 to talk about products, pricing or to place your order. New CTL Customers: New customers using POs will need to complete a quick new account set up form that we will send to you after you place your order. Quasi-State Agencies – A “Quasi-State Agency” is any agency, commission, board, authority or other such governmental entity which is established and is allocated to a State department or any bi-state governmental entity of which the State of New Jersey is a member, as defined in N.J.S.A. 52:27B-56.1, provided that any sale to any such bi-state governmental entity is for use solely within the State of New Jersey. 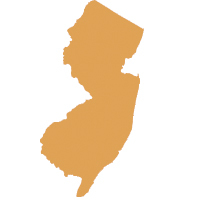 Political Subdivisions, Volunteer Fire Departments And First Aid Squads, And Independent Institutions Of Higher Education – Counties, municipalities and school districts as defined in N.J.S.A. 52:25-16.1., volunteer fire departments, volunteer first aid squads and rescue squads as defined in N.J.S.A. 52:25-16.2, independent institutions of higher education as defined in N.J.S.A. 52:25-16.5, provided that each purchase by the independent institution of higher education shall have a minimum cost of $500. The extension to counties, municipalities, school districts, volunteer fire departments, first aid squads and independent institutions of higher education must be under the same terms and conditions, including price, applicable to the State. State Colleges –in accordance with N.J.S.A. 18A:64-60. County Colleges – in accordance with N.J.S.A. 18A:64A- 25.9. Scope of Offerings: The full suite of product and service offerings available under the Master Agreement may be procured under this Participating Addendum. Please refer to the Participating Addendum for full details. Shipping and Delivery Information: Shipping terms are FOB Destination, shipping, and handling prepaid by Contractor (Subcontractor). Title and risk of loss shall pass to Customer upon delivery. All freight charges are included in the cost of the equipment quoted to Authorized Purchaser. No additional freight charges shall be added or itemized on invoices. Please refer to the NVP Master Agreement for full details.